Facing our ancient fears: Apocalypse and the X-Men – AiPT! Why is Apocalypse Egyptian? What is it about ancient Egypt that fascinates and scares us? Since their debut in 1963, the X-Men have sworn to protect a world that hates and fears them, but here at AiPT! we’ve got nothing but love for Marvel’s mighty mutants! To celebrate the long-awaited return of Uncanny X-Men, AiPT! brings you UNCANNY X-MONTH: 30 days of original X-Men content. Hope you survive the experience… AiPT! Science is going all-in for Uncanny X-Month, and following the most detailed look at X-Men biology anywhere, EVER, we’re on to, well, everything else! Today we welcome back archaeologist David S. Anderson to fill us in on why Apocalypse’s origin finally ended up in ancient Egypt. Apocalypse was created as an arch-villain when the X-Men franchise was rebooted in 1986 alongside X-Factor. The new book sought to return the X-men to their roots by reforming the original mutant team of Cyclops, Jean Grey, Beast, Iceman, and Angel. Our reunited heroes needed an adversary and thus was born Apocalypse, a mutant of remarkable strength and shape-shifting powers. Apocalypse’s seemingly immortal life and the ever-growing nature of his mutant abilities made him a perfect foil for X-Factor to fight. As his popularity rose, Marvel undertook an expansive multi-platform publication in 1995 and 1996, Age of Apocalypse, which saw the very timeline of the Marvel Universe altered. His ancient Egyptian origin was crystallized in 1996’s Rise of Apocalypse mini-series, by Terry Kavanagh and Adam Pollina. The ancient world in general, but Egypt in particular, has often been cast as the source of a variety of dangerous powers, be they monsters, magics, or curses. By entangling Apocalypse in this world of ancient evils, Marvel’s writers gave their villain the iconic status necessary to make him into the stuff of Hollywood blockbusters in the 2010s! But why does the ancient world work so well as a backdrop for a super-villain? The past is long gone, after all; how could it possibly harm us? Movies have long portrayed the ancient world as a place of great power, rather than dust and decay. When Erik Killmonger stole an object from a museum display in Black Panther, it wasn’t a fragile old relic, but a power-laden vibranium weapon. In Tomb Raider, Lara Croft entered the burial chamber of a deceased queen whose illness was still so powerful we saw villains melt before our eyes. And of course, Indiana Jones chases after ancient objects that can literally melt your face off, or awaken an alien spaceship! You may be tempted to think of these stories of powerful ancient objects as coming to us directly from the ancient world itself, since that’s how it’s portrayed in our comic books and movies. These ideas, however, are of much more recent origin, and are directly tied to the opening of the tomb of the Pharaoh Tutankhamen in 1922. Archaeologist Howard Carter had been working in Egypt’s Valley of the Kings for six years before he found Tut’s tomb, and had little to show for it before then. The dig’s financier, Lord Carnarvon, was running low on money, and both men were about ready to throw in the towel when providence struck. As Carter began to catalog the immense wealth of the tomb, Carnarvon decided to capitalize on the discovery and attempt to recoup his investment. Carnarvon struck a deal giving London’s Times exclusive rights to publish news stories about the greatest archaeological discovery of the modern age. This left the rest of the London papers scrambling for stories about the tomb, resulting in more then a few articles based on shaky secondary sources. When Carnarvon unexpectedly died from a blood infection, the stage was set for tabloid gold. Tales quickly emerged that the tomb was cursed. One such story garnered special attention, as it was told by none other than Sir Arthur Conan Doyle. While we remember Conan Doyle best for writing the Sherlock Holmes mysteries, in 1920s London, he was known as a leading figure in the Spiritualism movement. During an interview about the discovery of Tut’s tomb, Conan Doyle suggested it might have been cursed. As evidence, he told a story about a friend of his whom doctors claimed died of typhoid fever, but whom he was convinced had died from the malevolent effects of ancient spirits he encountered while entering an Egyptian tomb. The mania surrounding Tut’s tomb and alleged curses spiraled into a ground-breaking moment for the modern genre of horror films when Boris Karloff’s The Mummy was released in 1932. With the emergence of a deadly walking mummy on the silver screen, the ancient past was now alive and dangerous in ways it never had been before. The rise of Apocalypse is built upon the back of the mummy as a movie monster. Great strength alone does not make a super villain, instead that character must have an echo of our greatest fears. The past should be dead and gone, but with every mummy, ghost, and zombie, we exercise our fears that the past might rise up and plague us once more. 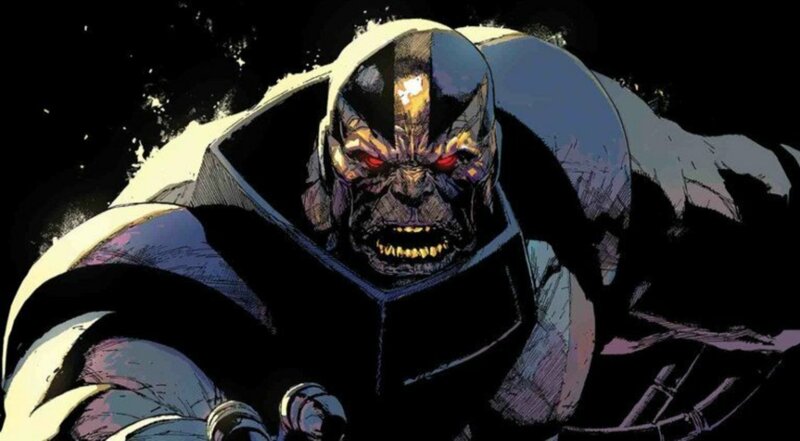 Apocalypse’s true strength lies not in his mutant abilities, but in the fear that his ancient immortality instills in us all.